Now that the first four games have been played with no team breaking away in this series, we are down to a best of 3. With the resurgence of Dwayne Wade playing like the old “flash” again, the Spurs must now find an answer to this new threat. Based of the current trend we are seeing in this series spurs-heat-spurs-heat, the ball is now in San Antonio’s court to make a move. A loss for either team could prove to be the series but especially for Miami, where they lost in a game 5 two seasons ago to Dallas, and then ultimately lost the series. In a must win for both teams, two questions must be answered: Which supposed slump or injury plays a factor more? Which Dwade and Tony Parker are we going to get in this game? After debating which way I wanted to go in this one, this stat is what persuaded me decide on my pick. In game 5s, in the NBA finals, the Spurs are 2-0 in the big 3 era. 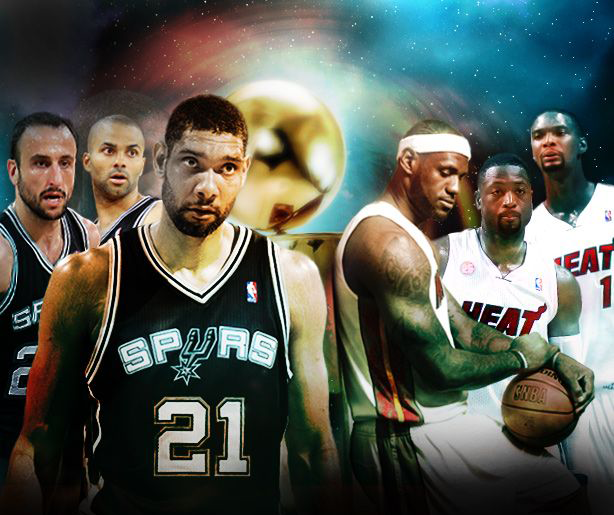 Since the same players for the most part who played in those series still play for the Spurs currently, as well as the trend say San Antonio, ill take the points at home in this one. After a phenomenal last 30 seconds of game 1, the Miami Heat find themselves in a 0-1hole. Watching this game and the post game press conference, I see the Heat’s ability to dominate at home slipping away from them and the attitude toward struggling teammates during the game intensify. 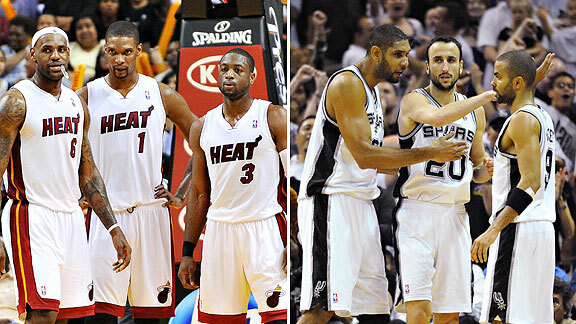 The Spurs on the other hand are thriving on Miami’s mishaps. If they can continue to pressure Lebron and force the rest of the Heat to win games with role players, they have a great shot to bring another title to San Antonio. The key to tonight’s game will be the affectiveness of Dwayne Wade on both fronts and Tony Parker’s ability to drive to the basket. If one of these occur, we could see an evened up series on out hands or a potential sweep on the horizon. With much needed rest and playing at home in a must win game 2 for Miami, I see the Heat winning by double digits here on a heroic Lebron performance.